We are glad to release the new firmware version with preheat function. The newly added preheat function allows the device to heat up the coil quickly at a higher wattage, which is especially obvious when using with an RDA, RBA, RTA and so on. It can also prolong the coil’s life and produce a better flavor. 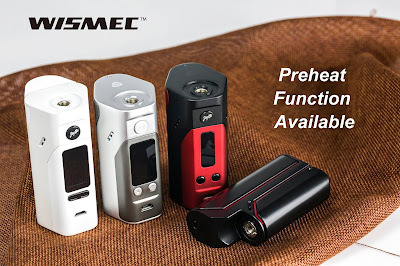 Following devices are updated with the preheat function: Reuleaux RX2/3, Reuleaux RX200S, Reuleaux RX200, Reuleaux RX75.